With the PlugStation, you can afford to put earplugs in all the places they’re needed. Hang one near workstations, another outside the restrooms and another in the break room. Easy, convenient access to hearing protection will help ensure that the earplugs are being used and will save time. Plus each PlugStation comes with a free bracket. 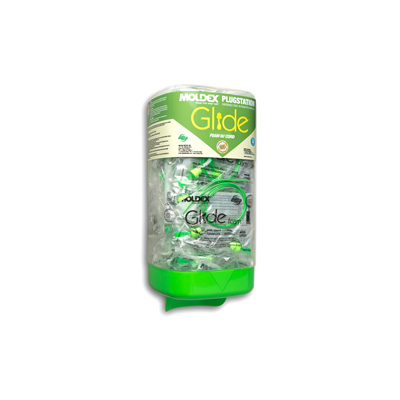 Glide® Foam Twist-in earplugs are made of extra-soft, extra light foam. Their tapered shape fits easily in the ear canal, and seals gently and snugly. They’re so comfortable you’ll forget you’re wearing earplugs. 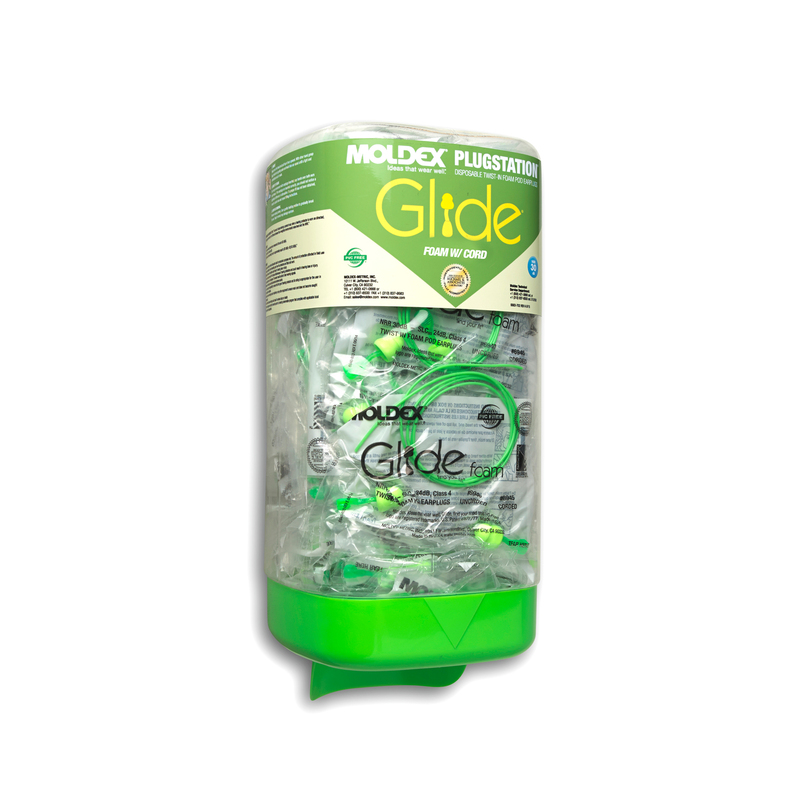 Glide® Foam Twist-In earplugs offer the highest independently tested NRR 33, making them suitable for most noisy environments. So, while they look like fun, they provide serious protection.